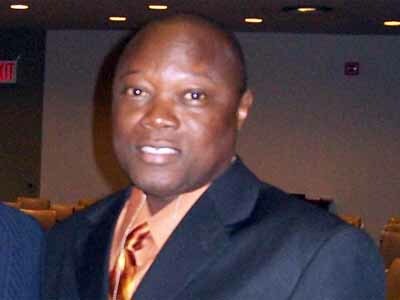 The court case involving the proprietor of the citizen radio in Sierra Leone – Dr. David Tam-Baryoh, who is also the presenter of the good governance radio program popularly known as MONOLOGUE, and the country’s media monitoring institution – the Independent Media Commission (IMC), has taken a very interesting dimension. According to David Tam-Baryoh, “it all started after the minister for Transport and Aviation – Logus Balogun Leonard Koroma, bought and brought into the country, some buses under dubious circumstances”. From information, the $12 million loan from a Chinese company to the government of Sierra Leone should have been discussed and vetted by the people’s representatives in parliament before the purchase of the buses. According to David, “this was neither done, nor did the minister advertise the purchase-project despite the fact that, the authorized persons at the road transport corporation had documentarily advised as to how to do such public business in a transparent manner”. David said that due to the public nature of the issue, and in view of the fact that the director of public debts department in the ministry of finance had told parliament how little he was briefed about the whole affair, this should not have been the case. David then decided to search for more information with regards the cost of each bus, type, durability, and to ask whether the tax payers of Sierra Leone had not been short-changed by some dubious persons. “I called the minister and asked him for an interview with regards to certain unexplained aspects of the buses, but he refused and asked that I speak to one Mr. Bockarie, who is the director of the roads transport corporation. “According to him, these are the people who will be running the business on behalf of government,” David said. So David discussed the issues around the buses and interviewed Mr. Bockarie, who appeared to have known very little about the entire arrangement. When asked as to how the ministry came to choose the very company that gave the $12 million loan to government as the vendor to supply the vehicles, Mr. Bockarie said he didn’t know. But he agreed that indeed there had been a seminar at which every professional branch of his outfit made input as to how such venture should be undertaken on behalf of government in the interest of the general public. Sadly, Bockarie announced, “we were left out”. Prominent in that interview was the question as to the number of buses which was being contested by several citizens, who said it was not 100 but 75 buses that the minister had brought into the country. Just about the same time when the country’s anti graft commission was thinking of delving into the issue with a view of investigating the anomalies surrounding the entire bus saga, news hit town that the first set of buses that arrived – sixty, red and oldish-looking, were transited through Dubai, where they were reconditioned to appear new. “This gave the debate a different outlook and aroused public interest from the point of view of smelling corruption in the entire affair” said David. Sensing more trouble, the minister lodged a formal complaint to the media monitoring body – the IMC, telling them that he takes exception to the broadcasts, as according to his complaint, David in his MONOLOGUE program, was “tarnishing his hard earned reputation and damaging his political career”. 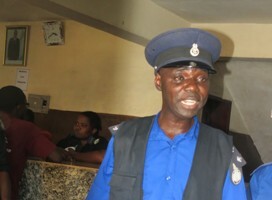 A source at the IMC confirmed that prior to transport minister Balogun’s complaint, David Tam-Baryoh had been reported to the same IMC by the country’s Inspector General of Police (IGP) – Francis Munu for quoting a police document, while interviewing the police spokesman – Assistant Police Inspector Samura. David said he offered no apology for quoting from a police file, as it was a public document and that the issue was of public interest. He also felt that the real issue was that he had asked Samura, during the interview, whether the Sierra Leone police was gradually becoming a killing machine, as 18 civilians had been killed by armed police officers in six months. “Because the police had no case, the IGP’s complaint never came up for hearing at the IMC, because it actually accused me of nothing substantial, except that the IGP probably was angry that I explained to the public some of the unnecessary killings of civilians by his men.” David said. 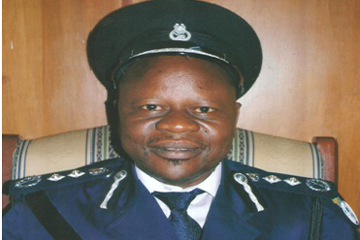 The IGP did not follow up on his complaint against David for want of any clear cut evidence because according to David, “Assistant Police Inspector Samura agreed that there were reckless police officers in the country”. Tam said that police information boss Samura, during the 40 minute interview on MONOLOGUE agreed with all the statistics about the police killings of civilians, and that there was nothing inciting about such an issue. In fact, in an ongoing court case David has brought against the IMC, the IGP’s letter and recordings of the program about the buses are samples of proof to vindicate David, that he meant no harm and that the IMC was wrong in what they did. Unlike the police, minister Balogun was available for hearing on August 25, 2015 at 5:00pm at the IMC offices on Siaka Stevens street in Freetown. 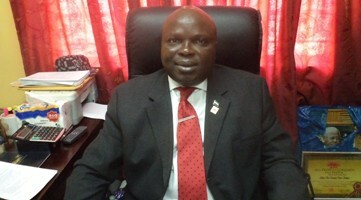 Minister Balogun Koroma told the IMC complaint committee which consisted of 12 members, that David Tam-Baryoh had pestered him on radio about the buses and that he had been advised by friends and family members to lodge an official complaint or else his image, respect and political career were on the line. Balogun (Photo) spoke for only three minutes and David was asked to respond to the allegations. In his seven minute response, Tam-Baryoh – the presenter of the MONOLOGUE program aired on the 21st of August, which was actually the subject of complaint, said that the issue was of public interest and needed delving into. He said that $12 million was a significant quantum of money that should not be spent without transparency and public knowledge. On the issue of fair play and hearing from the other side, David said the minister transferred his right of reply to his director of roads and transport corporation – Bockarie. But David said also that even on the thorny issue of whether it was 75 or 100 buses, a junior minister in the Public and Political affairs ministry – Karamoh Kabba, was given an opportunity on the very program to explain on behalf of the government. “To me” said David, “the issue was straight and simple. But I did not know that the Commission was trying to please the minister”. According to other sources, the complaints committee usually has three sittings before coming to a conclusion of a case. However, like David said, may be this case was “simple” and did not need to be heard again. 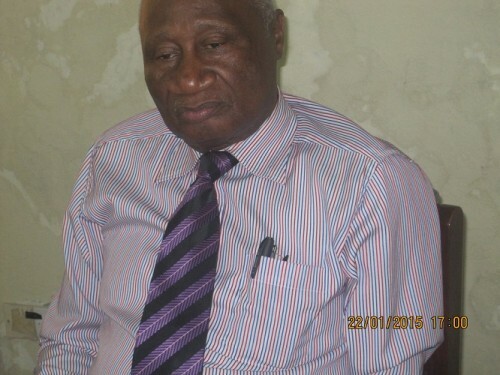 The next day, the IMC secretary – Reverend Knox-Goba, through the advice of the Chairman – Ambassador Kanu (Photo), sent David Tam-Baryoh a letter informing him that his Good Governance Program called MONOLOGUE had been banned indefinitely. A week later, another letter from the Commission said he had been fined $100 for tormenting the minister about the buses. Meanwhile, it is worth noting that since February 2015, the issue of the 75 or 100 buses was being investigated by the Anti-Corruption Commission (ACC). Since then, nothing has been heard about the investigation. Asked how he has taken all of this, David said that; “firstly, all of these commissioners, except one, are political appointees – even against the advice of the Sierra Leone Association of Journalists (SLAJ). Secondly, you will recall that this was the same Commission that suspended my program in 2013 upon the advice of the cabinet of the government, through the information minister – Alpha Kanu. “Remember too that my passport is still with the police upon the orders of the President, since I did a program a year ago calling on our government not to go the Blaise Campaore/Burkina Faso way of doing politics. “I may want to accuse some government functionaries who think my Good Governance Program (Monologue) is too much for their comfort as it puts them on the spot. But in the case of the media monitoring body (IMC), I am at pains to note that though it’s my baby, because I and some Journalists put together the documents that culminated in setting up the commission in 2000, most of the inexperienced commissioners and persons associated with the commission today, are only there to make money and please the politicians against the media. “The IMC Act 2000 and as amended in 2006 and 2007, did not give them the power to suspend or ban any media house or program indefinitely, without judiciously adjudicating as in my case. Between the Commission and the government functionaries, I think the commissioners see themselves as judges who should serve the interest of their brothers – the latter, while seeing the media as the guilty-accused”. In trying to help the IMC reverse its wrong decision, David Tam-Baryoh (Photo) has taken the IMC to court for a better interpretation of the decision to ban his weekly radio program. The case is before Justice Musu Kamara. 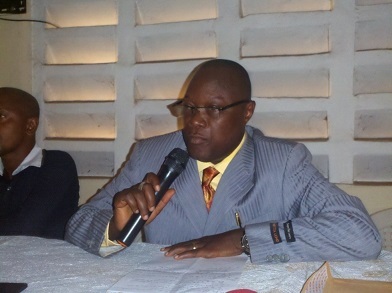 After three sittings and adjournments, David’s lawyer – Emmanuel Saffa Abdulai has finished presenting his case, while the defence lawyers, headed by Francis Gabbidon who had been debarred once by the Legal Council of Sierra Leone, because he was convicted of corruption when he was the country’s Ombudsman, will reply on December 9, 2015. Meanwhile, the program remains banned and according to David, “I am taking my undeserved rest from the microphone, though I am actually not banned as an individual. It’s the program they hate, but forgot that the presenter still lives. May be I should begin a program called DIALOGUE”. Asked whether he thinks he will get justice in today’s Sierra Leone, David said: “Always be patient to test your system, even if it is for posterity’s sake”. Copyright Reserved by the Sierra Leone Telegraph. Sir, I am looking forward to hearing from you about the party you are going to join. Dr – I am waiting for you to declare before I make my decision, because I want to follow you and join whatever party you are going to join or form. Good on you David. We need few more fearless men and women like you. Our country cannot go on like this. That is why our country needs radical progressives like Alie Kabba, who will make sure our country benefits from transparency and avoid the bottleneck politics of the APC. We as a people need to rise up and forget about tribal, regional, and party affiliations and all the evils that will stagnate our beautiful country and its people. Thanks again David, you are too big for them to touch you because the world will intervene. In this year of our Lord 2015, it is clear that our Government and public officials are still bent on disregard for free speech, public opinion,progress, competition, opposition and respect for Human dignity. It is shameful that we cannot be proud and compare our Country to others that uphold these basic principles. My first concern is the brand and country of origin of the buses. What is their safety and reliability rating? How many government ministers, including the president, owns or drives a Chinese vehicle? I believe the people of the nation have been taken advantage of, or are perishing in poverty due to lack of knowledge. 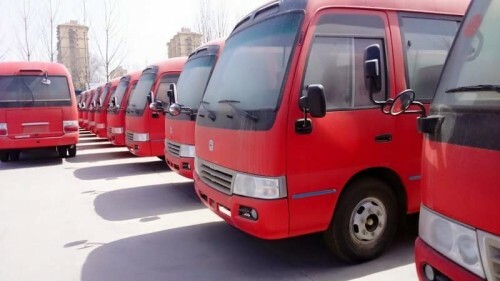 How can a serious and honest government spent $12 million to purchase pieces of junk from China, when they can use that same amount of money to purchase good quality, safer and reliable buses from Germany or Japan that have proven record in that regard. I conclude that as far as they are concerned, since they’ve reduced the nation to mostly beggars they’ll have no choice but to take what ever they are offered. It is also an oxymoron to equate success with stealing. A thief can never be successful in life because it’s just a matter of time, you or your children or children’s children will pay the price. As the scriptures says: What can a man profit if he gains everything by stealing, lying or practices 419, but loses his soul? Just think about the former politicians or business people who took advantage of the courageous people of this blessed nation, I believe they and or their children have paid a price for their actions.